At the very top professional level it’s not enough to just train hard, cyclists need to make use of every possible performance enhancer to stay competitive. And no, that doesn’t mean breaking the rules. There are a lot of ergogenic substances that are entirely legal. 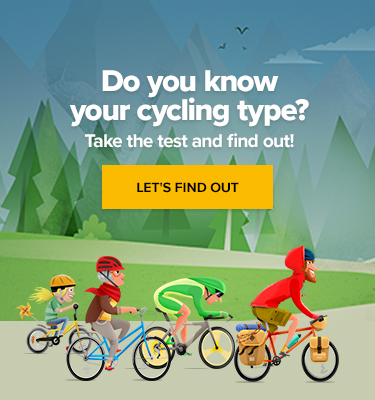 Let’s go through a list of the most common ones and see if they are worth a try even for the amateur cycling enthusiast. Caffeine is probably the number one performance enhancer in the world. It helps mobilize fat reserves to be used for energy, improves muscle contractility for short high intensity efforts, helps with alertness, and influences how you pace yourself. Pros often take about 150 mg of caffeine, or two espressos, before a race and then continue during the race with caffeine loaded gels, tablets, or coke totalling at about 6 espressos worth during the day. You can read more about coffee and performance in our previous article here. Yes, the thing that’s used for baking delicious cakes supposedly also improves your performance. Simply said, sodium bicarbonate is an alkaline chemical that helps counteract the acids produced during high intensity activity. There are a lot of reports from riders having success with it especially before relatively short and intense time trial type of events. Most studies agree on a dose of 200 – 300 mg / kg of body weight (or 90 – 135 mg / lb.) taken 60–90 minutes before exercise. A fair warning – if you take more than your body can handle stomach upset and diarrhoea will follow. So, it’s advisable to start with less and definitely experiment in training with a nearby toilet. Beta alanine, finally there’s something on this list that sounds like a real supplement. Unfortunately, beta alanine is just a regular amino acid that serves as a precursor to a naturally occurring substance called carnosine. Even though it’s common and natural, it has consistently been reported to have notable effects on performance. The more carnosine you have in the muscle, the more you can resist muscle acidity, and the longer you can stave off fatigue. Just keep in mind that you need to take it for at least three weeks to see any benefits. There are other popular, but more case specific supplements to experiment with like magnesium, creatine, omega-3s, Conjugated linoleic acid (CLA), and β-Hydroxy β-Methylbutyrate (HMB). Just remember, supplements have their place in an athlete’s diet, but their usefulness will be determined by how well you’ve taken care of the basics.